One of the leading ratings agencies Care Ratings on Sunday has downgraded over Rs 1 lakh crore (trillion) worth of debt issued by the country’s third largest housing finance firm, Dewan Housing Finance Ltd. (DHFL) citing the sharp reduction in its share price and the significant rise in bond spreads. On Saturday, ratings firm CRISIL had placed its short-term rating on Rs 18,000 crore worth debt instruments of DHFL on ‘Rating Watch with Negative Implications’. Both these will have implications for mutual funds who have over Rs 8,600 crore of exposure to DHFL group debt. RupeeIQ analyses the likely impact and what you can do. Let’s do a recap of the situation. DHFL is no stranger to debt concerns. It has been in the news for the past few months, ever since IL&FS liquidity crisis happened. There have been persistent fears about DHFL’s finances. In September 2018, DSP Mutual Fund had sold AAA-rated debt paper of DHFL at a yield of 11%. This was a shocker because such a yield is usually demanded for a paper with a higher risk. DSP MF at that time said that it had sold DHFL bonds to meet payment obligations due in seven days. Since then, the stock has been pushed down, as more sellers emerged than buyers and the market price kept on slipping. On January 29, Cobrapost revealed the results of an investigation into an alleged Rs 31,000-crore financial scam at Dewan Housing Finance. While DHFL denied any wrong-doing, the stock market doesn’t appear to be fully convinced. In just 1 month, the stock has more than halved. Its recent Q3 results have not been inspiring either. DHFL reported decline in net profit by 37% YoY to Rs 314 crore due to lower net interest income and other income growth. Net interest margin declined by 24 bps QoQ at 2.91% during the quarter. 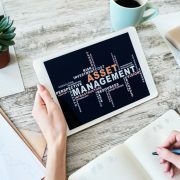 Margin has remained under pressure due to rise in cost of fund and compression of spreads on the securitisation portfolio, according to broking firm Narnolia. On February 2, Wadhawan Global Capital (WGC) (the parent company of DHFL) and Blackstone announced that private equity funds managed by Blackstone have entered into a definitive agreement with WGC to acquire its stake in its housing finance subsidiary, Aadhar Housing Finance Limited (AHFL). As a part of the deal, WGC will be selling the entire 70% of its stake in the company. DHFL, which holds a 9.15% stake in AHFL, will also be exiting the company as a part of the transaction. On the same day (post Aadhar Housing Finance deal announcement), ratings major CRISIL placed its short-term rating on Rs 18,000 crore worth debt instruments of DHFL on ‘Rating Watch with Negative Implications’. The rating action is driven by the significant impact on business growth due to recent prolonged challenges faced by DHFL in raising funds from diversified resources including traditional bank lines, CRISIL said. 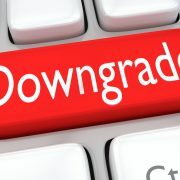 On February 3, CARE Ratings has downgraded over Rs 1 lakh crore of debt, including NCDs, fixed deposits, and long-term bank facilities, of DHFL. CARE Ratings said. “The revision in the long-term ratings takes into account moderation in financial flexibility of Dewan Housing Finance Corporation Ltd. (DHFL) as evidenced by a sharp reduction in its share price and a significant rise in bond spreads. While stock prices and credit spreads were negatively affected for NBFCs and HFCs post-September 2018, recent media news related to DHFL has further impacted market sentiment. DHFL’s ability to raise resources at competitive rates would be crucial for its profitability and long-term growth prospects going forward,” CARE Ratings said. 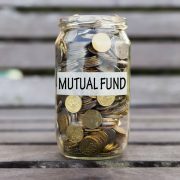 Latest data (from December 2018 portfolio) shows that DHFL is an Rs 8,650 crore exposure for the mutual fund industry. About Rs 7,800 crore of such debt has been purchased by open-ended MF schemes, while the rest of the money is with closed-ended funds. Open-ended funds are where investors have the highest liquidity since you can come in or go out anytime. Closed-ended funds don’t allow you to exit before maturity. Debt raised by firms like DHFL are repaid within a few months (or years) as per maturity. If DHFL at some point is not able to honour its obligations, then that will be a default like situation eg. IL&FS. However, such a situation may not really happen. New investors – Please wait and watch how the situation plays out before considering fresh investments into schemes with DHFL exposure. Just on February 1, Credit Suisse had come out with a warning. “Domestic debt funds, within a week of the Essel group events, are facing rising concerns on their exposure to Dewan Housing. Dewan is also among the larger borrowers from MFs and their aggregate exposure (Rs85 bn) is 70 bp of debt AUM as of Dec-18. Banking sector exposure to Dewan is ~Rs400 bn (40 bp of loans),” Credit Suisse said. Exposure for some fund houses is larger, at 2-10% of total debt AUM, with some schemes having up to 30% of their AUM to Dewan. Overnight, some schemes have taken MTM losses on this exposure with Dewan paper being repriced at higher yields. “If this continues and leads to redemption pressure, we may see a 2nd wave of risk aversion in domestic debt fund and volatility in their flows. Debt AUMs were down ~11% in Dec-18,” Credit Suisse said. Banks have exposure to Dewan through both loans and bonds. As per Jun-18 data, individual bank exposure is 10-20% of their net worth (1-1.5% of loans). Yes, BoB, IDFC Bank & BoI have largest exposures. 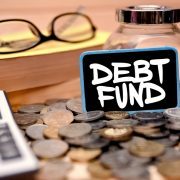 “With 30% of MF debt AUM to NBFCs/HFCs, rising scrutiny of credit risk in debt funds is likely to keep flows to them volatile, constraining NBFC funding that still relies on MFs for 10-30% of their borrowings,” it said.